Egyptian forces kill Mexican tourists by mistake during anti-terror operation. 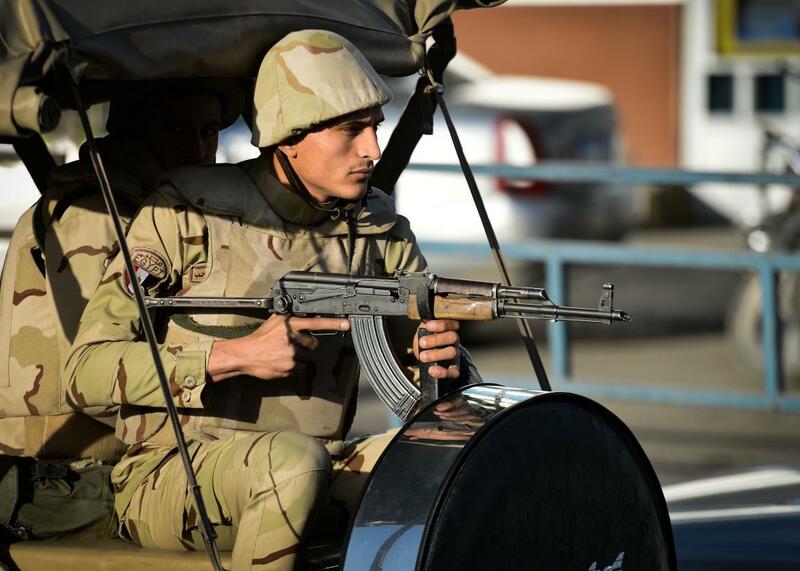 An Egyptian member of the armed forces patrols outside al-Maza military airport on January 30, 2015 in the capital Cairo. Egyptian security forces opened fire on a tourist convoy Sunday, killing at least 12 Mexicans and Egyptians and injuring 10 others. Details are scant but the Mexican Foreign Ministry confirmed that at least two of the dead were Mexicans as are at least five of the injured. Six Egyptians were also among the dead, a relative of one of the victims tells the Guardian.